Change is here to stay; there's no doubt about it. 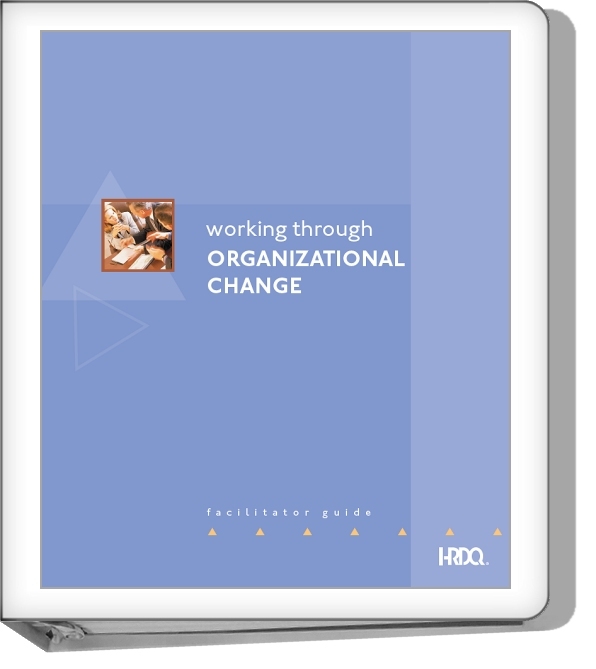 But in today's empowered workplace, leading organizational change has, well, changed. What was once the role of senior management is now the day-to-day responsibility of individuals throughout the organization, from the execs at the top of the pyramid to the frontline employees at the base. We will learn how to confront our resistance and fear of change. We will learn to concentrate on the benefits of change at work. While understanding the need for organizational change is critical, it is also vital that we recognize how we respond to change as individuals so that we can manage ourselves – and show others how to benefit from its positive effects. Working Through Organizational Change is a one-day program designed to help individuals polish their skills at coping with and handling a variety of organizational changes. Virtual reality is here — what does that mean for your business? Early adopters such as Merrill Lynch, Toyota, LinkedIn and Konica Minolta are already seeing dramatic results in learning simulations, training, and marketing effectiveness. 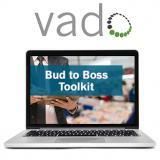 Bud to Boss e-Learning Toolkit® of 20 e-learning courses has been designed specifically to address the needs of anyone who is new to supervising and managing others. Bud to Boss provides the foundation needed to take on this new position and move forward in your career. Using a 10-step process as its basis, this program takes participants through the three phases and identifies techniques for ensuring that the change is not only a success, but that it becomes a lasting part of the culture. Ready. Set. CHANGE! : Reacting Smarter. Adapting Faster. Engaging Together. Ready. Set. CHANGE! helps employees positively and productively navigate any change—big or small. 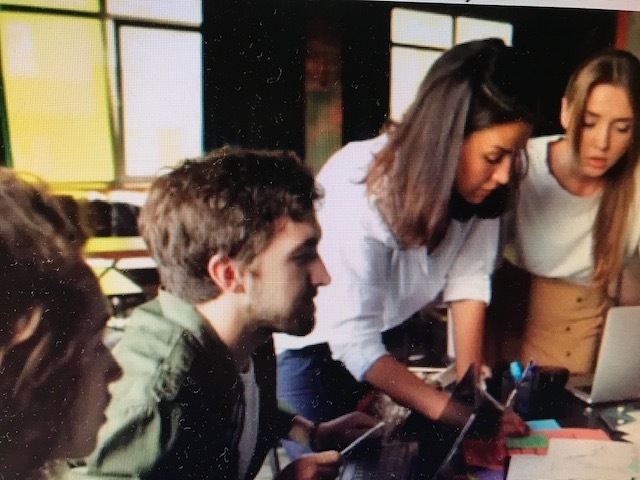 Through learning tools such as right-way behavior modeling and a Change Response Assessment, this program equips employees with skills to react smarter, adapt faster and engage together more productively when change comes around again. 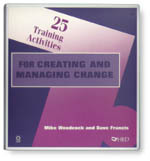 Learn more about strategies for a change-responsive workforce..
25 experiential activities for teaching managers and employees how to effectively deal with workplace change. 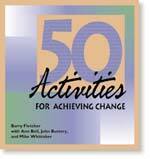 Activities are organized into 4 change stages: Preparing for change, Articulating choices, Visioning the future, and Implementing change programs. Cynthia Montgomery Professor at the Harvard Business School makes the case for bringing people back into the equation. Though you start with ideas, you need leaders to construct a company that brings these ideas to fruition. Leadership is required to define your purpose and form a management model that carries it out. Scaling is never quick and easy task — it takes daily dirty work to make it happen, and even then it’s a ground war that can go on for years. Arriving at new ideas does not require genius. Andy Boyton explains that to become an effective idea hunter, be receptive to creative inspiration from unfamiliar or unusual sources. (Available for Video Streaming) Most companies today face a fundamental problem: the disconnect between what they aspire to do and what they can actually accomplish. CEO�s are worried about their differentiation in a world that is increasingly hard to compete in. But are they creating strategies without fully understanding what the organization is capable of delivering? While we are inspired by business success stories, we are educated by business failures. Chunka Mui and Paul Carroll researched 750 of the most significant business failures of the past quarter-century and found the Number 1 cause of failure was not sloppy execution, poor leadership or bad luck. Managers are under constant pressure to grow, but it is often difficult to find new avenues of growth within an existing line of business. Simple Rules are the answer. These rules focus our attention and simplify the way we think. Easy to understand and remember, they coordinate teams and keep everyone working toward the same results. With practical examples that range from Airbnb to Indiegogo, biotech to burglars, poker-playing to internet-dating, Dr. Eisenhardt reveals how Simple Rules work to sharpen thinking and clarify strategy. In this program, Robbins introduces the concept of "mental models," explaining where they come from and why we hate it so much when we encounter things that don't fit those models. While certain cultural and neuro-biological forces compel us to be closed-minded towards anything new or different, we have it in our power to overcome these influences so that we can comfortably entertain new ideas and be more accepting of those who differ from us. Great companies create cultures that attract the right employees and create buy-in to the bigger vision. 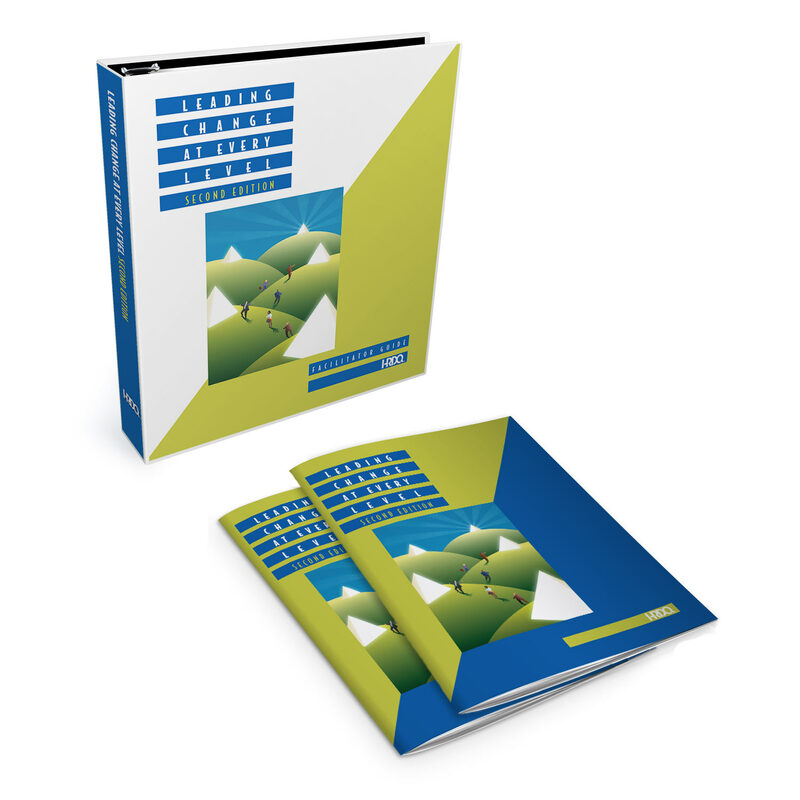 In this dynamic program loaded with powerful stories and examples, expert speaker Randy Pennington guides you through the fundamentals that lead to long-term growth and bottom-line results. What does it take to overcome fear and lead with courage when facing adversity? How can you build trusting partnerships in your personal and professional life, and live congruent with your core values? Discover answers to these questions and many more in this high-flying adventure featuring highly decorated US Air Force fighter pilot Lt. Col. Rob "Waldo" Waldman. Coyotes have not only survived, they have thrived in the face of an all-out war to exterminate them - because they've learned to adapt, to use teamwork, and they exhibit amazing courage. 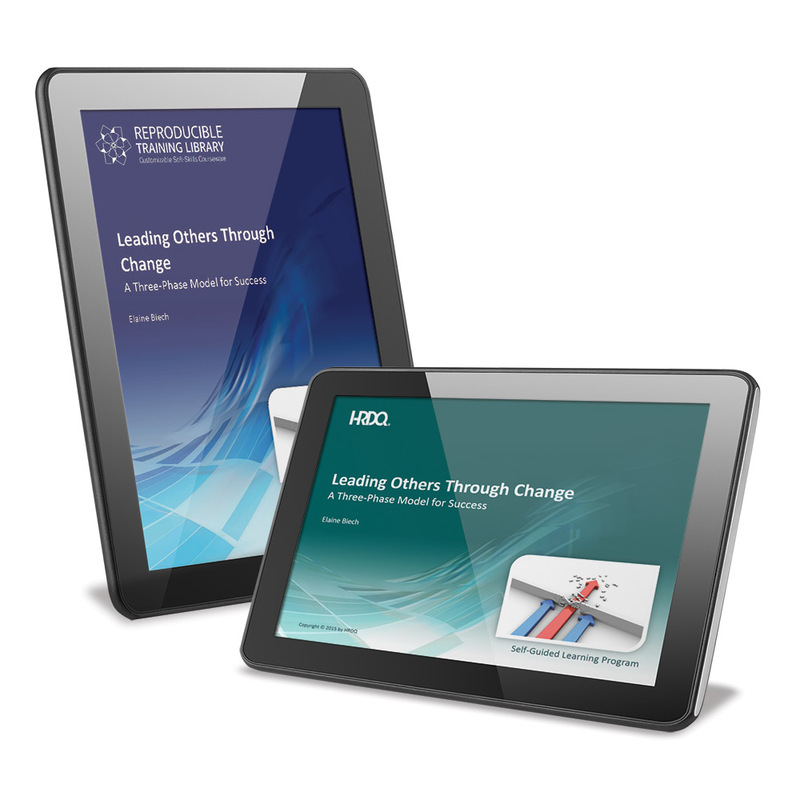 A complete selection of training activities for teaching others the process of accepting change, demonstrating the need for change, reducing conflict, improving communication skills and more. Taking risks is not easy. It requires a willingness to operate outside of your comfort zone and experiment with new ways of doing things as you step into a situation with unknown or potentially adverse results. But as Margie Warrell famously said, "growth and comfort never ride the same horse." Risk-taking is a necessary part of moving forward. However, there is a big difference between effective risk-taking and just being reckless. Get ready to unleash your greatness in this powerful seminar featuring award winning speaker, Desi Williamson. Through captivating stories and useful examples, Desi illustrates the action oriented mindset required to overcome obstacles and achieve any goal you set. You’ll learn how to reignite your purpose, stay focused on the big picture, develop true “will power”, become a master of change, raise your performance level, challenge your fears, and much more. 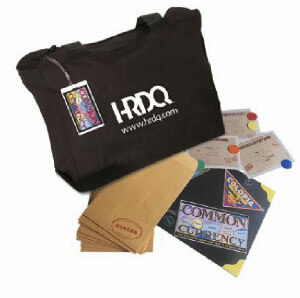 A flexible, team-based activity that utilizes a wealth of interpersonal and group-process skills. We especially like using it as part of negotiating and strategic planning workshops, but it�s ideal for a wide array of training topics and teamwork games.